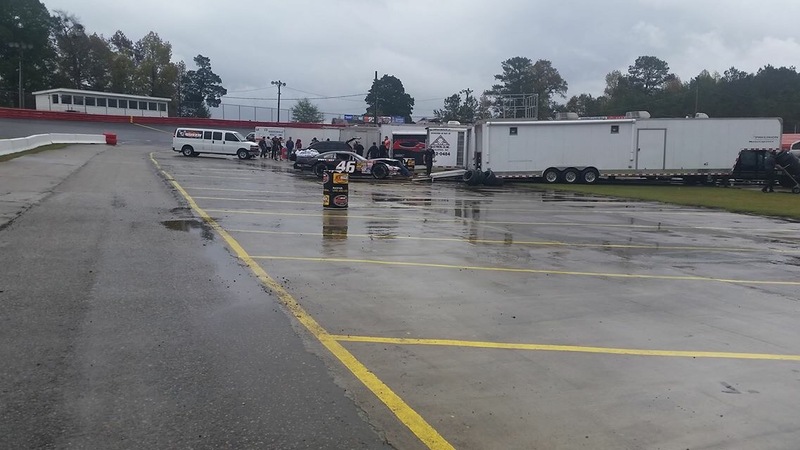 Robersonville, NC – East Carolina Motor Speedway officials held out for as long as possible but the rain did eventually reach the 3/8 mile track. All divisions were able to get through their practices before the day was called off and they did get the timing issue fixed that was a problem the day before. The 2015 Late Model runner-up was able to post the fastest time in their session. The race will be held on December 5th after being voted on earlier in the day by the drivers and will be a one day event. This puts it after two other trophy races later in the month, The Battle at the Beach in Myrtle Beach, SC and the Thanksgiving All-Star Classic in Kenly, NC. The divisions racing will stay the same with the Late Models under the NASCAR LMSC rules, UCAR, and the INEX Bandoleros participating. Dylan Ward did not get his car running in time to run in the practice session.